For the launch of SS19, we released some General Entry tickets for £10 only, entry anytime! 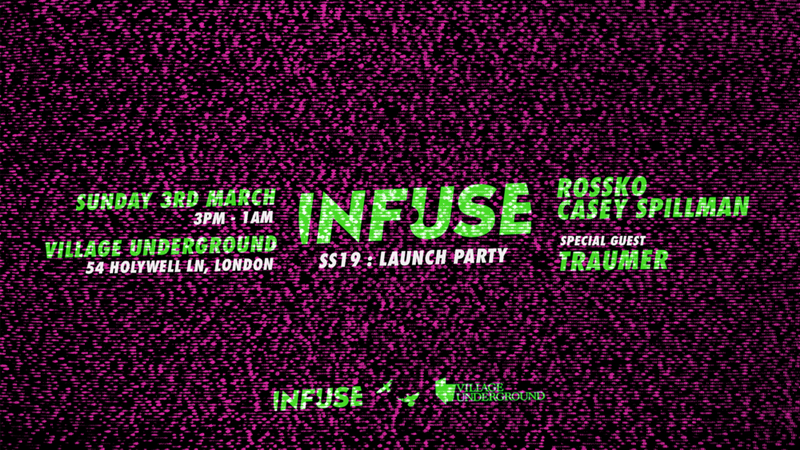 We’re back with SS19, Infuse Sunday Series, three Sunday daytime raves in London. The lineups will be revealed soon, knowledgable party-goers will expect a selection of outstanding artists across all three shows. A limited number of Early Entry Tickets are now available on Resident Advisor alongside our standard guest list. Please be aware that buying a ticket does not 100% guarantee entrance. The management still reserves the right to refuse admission to anyone who might jeopardise the special vibe which InFuse & FUSE have created and the safety or enjoyment of our guests. This includes people whose behavior, attitude or dress would have a negative impact on that vibe.